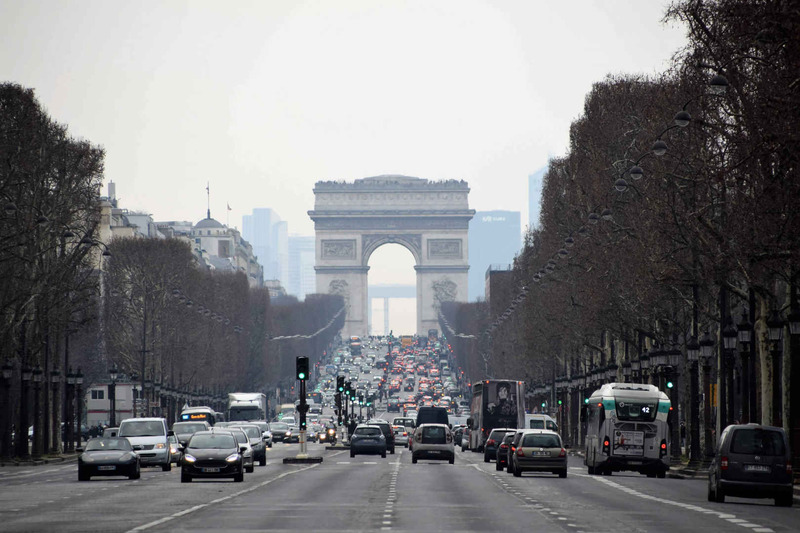 As the nights draw in, you may consider taking a romantic winter weekend break in Paris. It’s a good time to visit to avoid the crowds. Even when it’s bitterly cold, the City of Lights still impresses, but you will need to pack carefully. 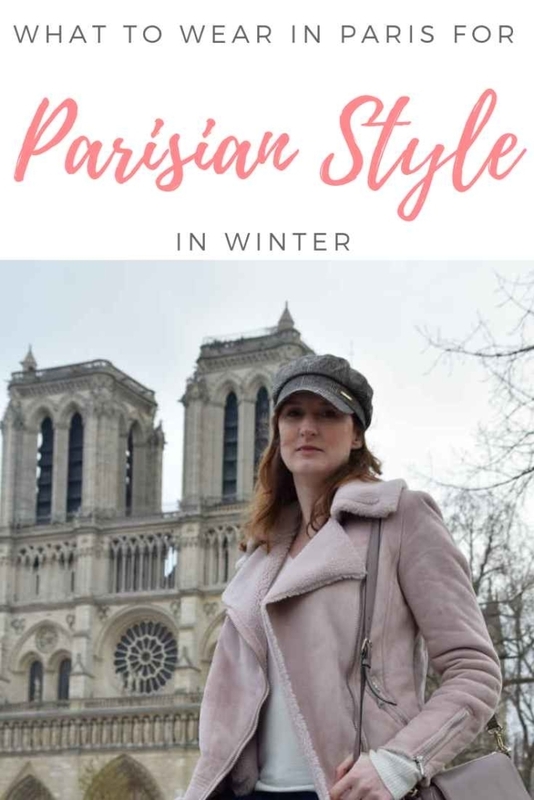 Here’s what to wear in Paris in winter to look chic and stay comfortable. 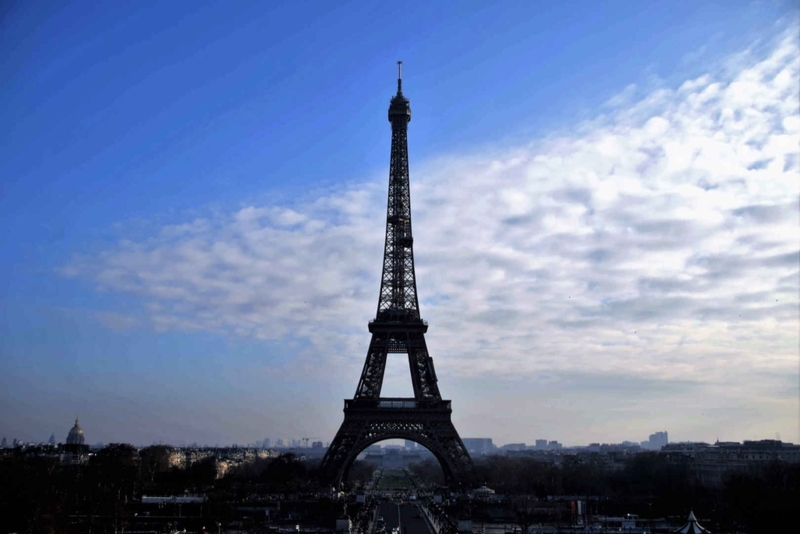 What’s the weather like in Paris in winter? The colder months in France‘s capital city of Paris are usually from around October until March. But not always. This year, I have been to Paris twice – once in January and once in late October. The temperature in January, often the coldest month here, was almost freezing (around 40°F). My breath resembled the wispy clouds blanketing the sky. I wanted to cover every inch of skin, otherwise the biting wind would seem to find its way into my bones. On the other hand, when I visited Paris in October, it was the tail-end of a unusually hot Indian summer and the daytime temperature reached 18°C (64°F). While the winter weather in Paris can be changeable and snow is possible, the temperatures are unlikely to dip much below freezing (32°F). However, sudden rain showers can put a chilly dampener on things, so make sure you bring an umbrella. I like these super-light and chic Cath Kidston umbrellas that fold up small in your bag. 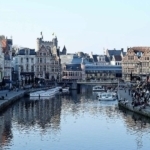 There are only a couple of hours of sunshine a day at this time of year, so it’s a good opportunity to visit one of the city’s remarkable art galleries and museums. On the plus side, shorter days means more time to see the Eiffel Tower at night, decorated in the glittering lights for which it is famous. 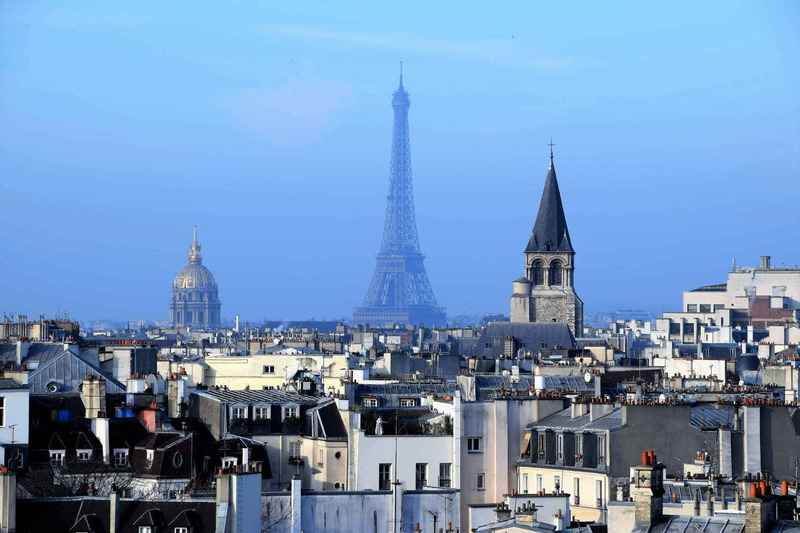 Many international airlines fly affordable routes to Paris, including Air France. 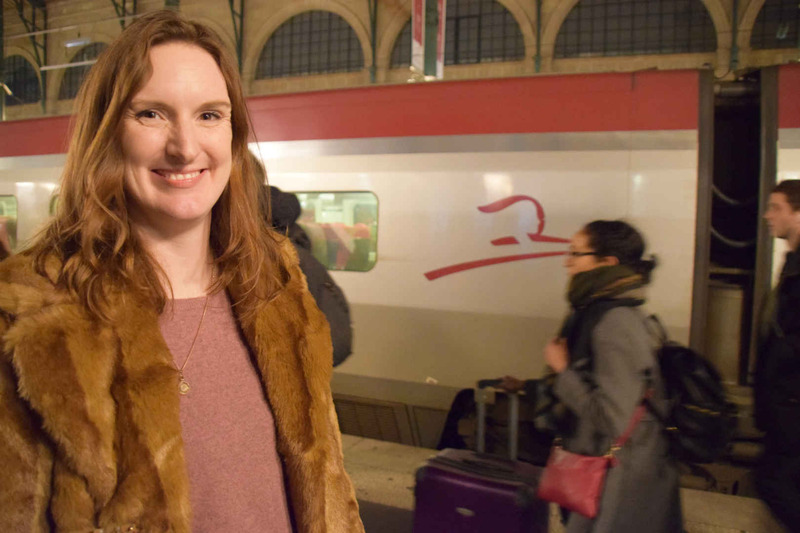 I travelled from Brussels to Paris on the Thalys train network which, like the Eurostar from London, is both comfortable and fast, flying along at up to 300 km per hour (186 mph). As you will probably be wheeling along a small suitcase containing your capsule ‘winter break’ wardrobe, this is the time to wear your bulkiest items. In the name of maximum chic and warmth, I wrapped a faux fur coat from ASOS over skinny jeans and a pink cashmere sweater from Gap. 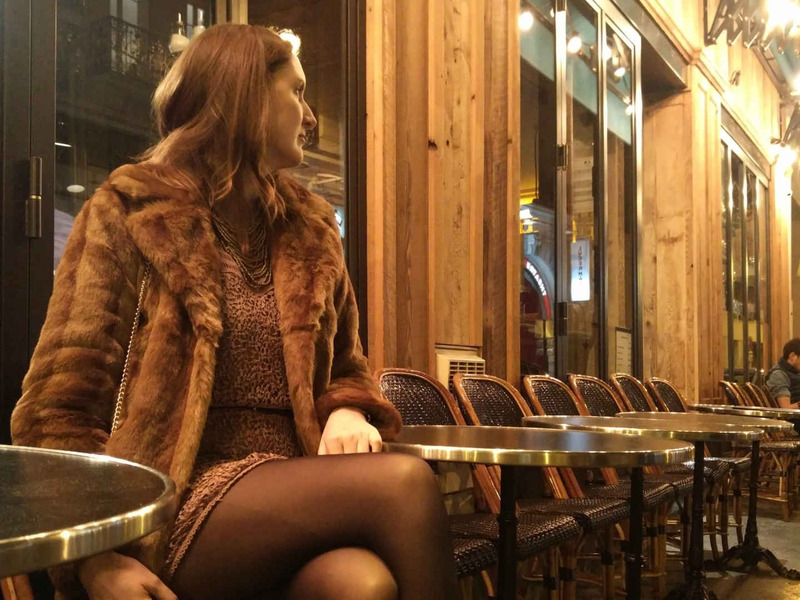 This outfit was super cozy and felt luxurious, as I stepped out of Gare du Nord into the crisp Parisian evening. At this point, you may be anticipating what Paris winter fashion will look like, on the streets of this notoriously style-conscious city. What do people wear in Paris? 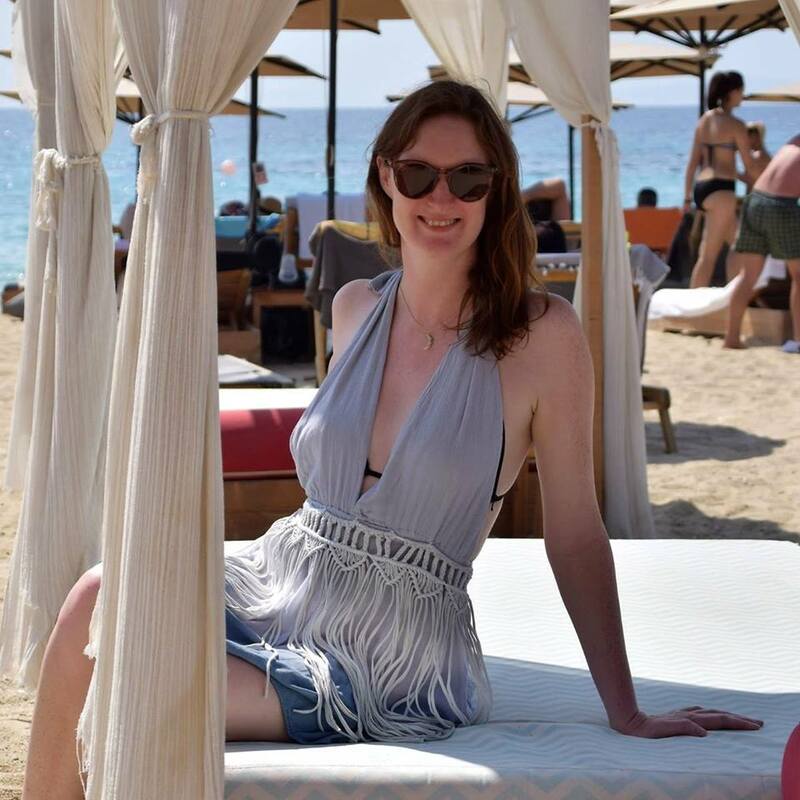 Look past the tourists and you may see nonchalant local ladies with outfits that seem at once carefully put together and carefree. That je ne sais quoi. You can emulate this too with your Paris outfit ideas, if you are smart with your packing list. Here is where that cashmere sweater will really work for you, as it pairs well with both skirts and trousers, upping the glam level, while – crucially – upping your body warmth. And don’t forget the old French style adage: remove one accessory. That’s it. Do you really need to wear a necklace and earrings? Just wear one and walk out into the city with Parisian-style confidence, as if you made no effort at all. 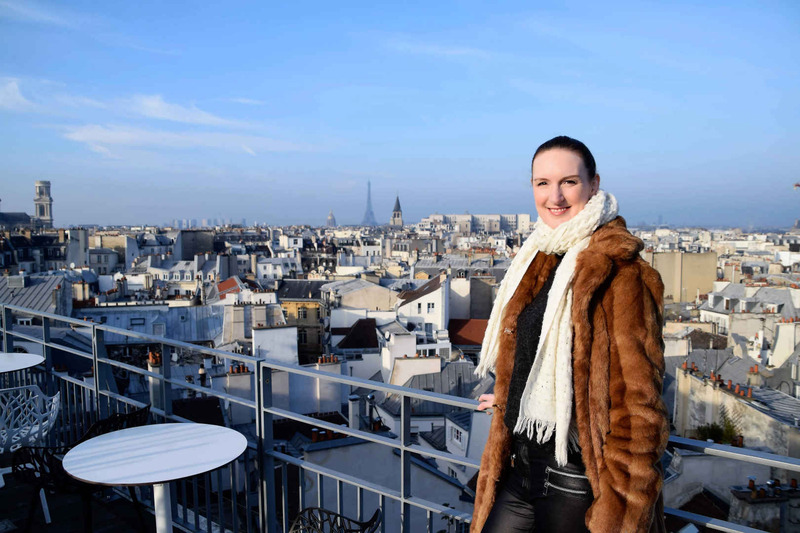 On our January trip, I stayed at the Holiday Inn Paris Notre-Dame, which is very central and has a fabulous rooftop terrace with views over the city. I wore a charcoal high neck knitted jumper from Y.A.S. with Vero Moda leather look trousers. 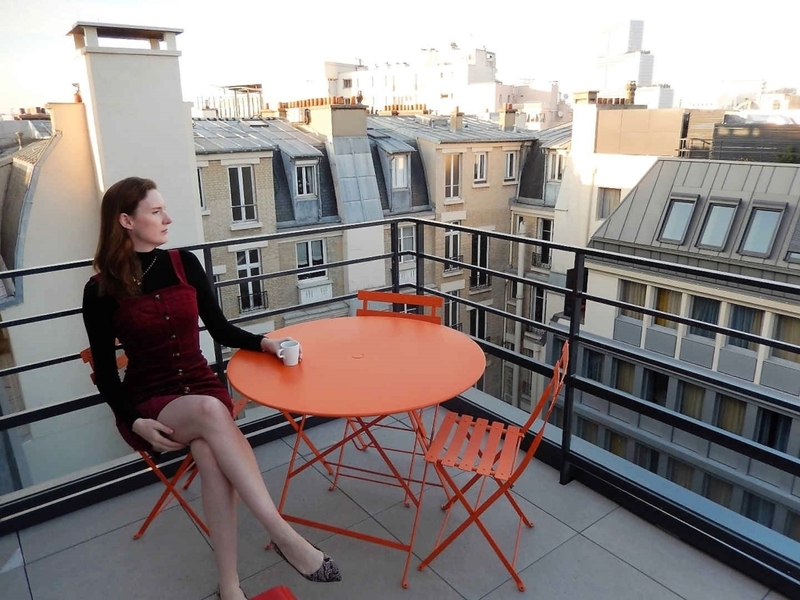 Later on, in October, I stayed at the arty Mercure Paris 17 Batignolles hotel in the city’s north-west. The Batignolles neighbourhood is more the ‘real’ Paris with its organic market, up-and-coming restaurants, and quirky bars and boutiques. 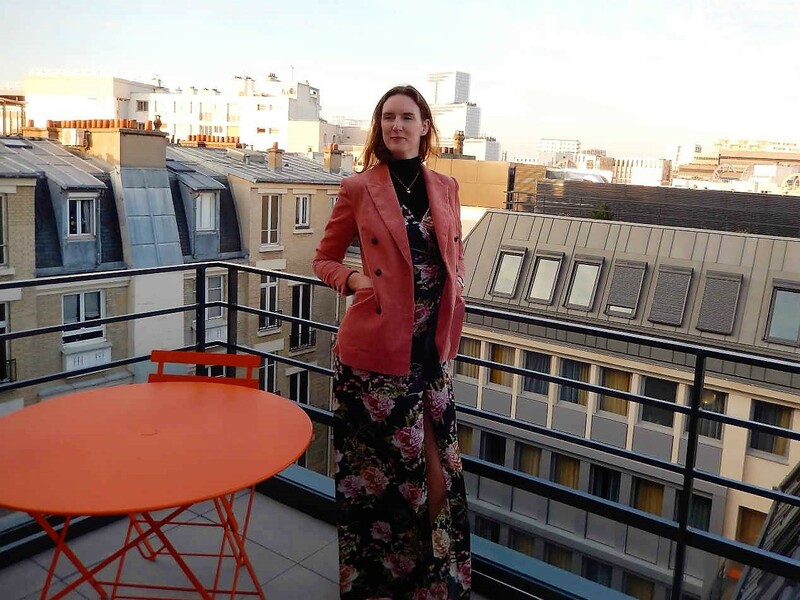 On my room’s marvellous balcony, I sipped espresso, wearing a gorgeously soft corduroy pinnafore dress from Glamorous in rust (my new favourite colour for winter), layered over a black roll neck bodysuit. Thanks to this unexpectedly warm October weather in Paris, I was able to follow the French fashion rule of bare legs, covering up for my neighbourhood stroll with a classic beige trench coat from ASOS. You can never go wrong with a trench coat. No stylish French woman’s wardrobe would be complete without a blazer. Simply worn with a white t-shirt and jeans, this ingenious tailoring pulls together a smart-casual outfit like nothing else. For the most up-to-the-minute look to wear in Paris now, you can’t beat a corduroy blazer and this pink double-breasted blazer from & Other Stories is just perfect. As it’s winter in Paris, layers of clothing is key. I’ve worn it here over the black roll neck bodysuit and this beautiful wrap floral maxi dress from ASOS. Looking fashionable breezy, Parisian winter style, doesn’t mean tottering around in heels. Classic designer women’s shoes in France are often flats or mules. This is good news for staying chic yet comfortable on your city trip. 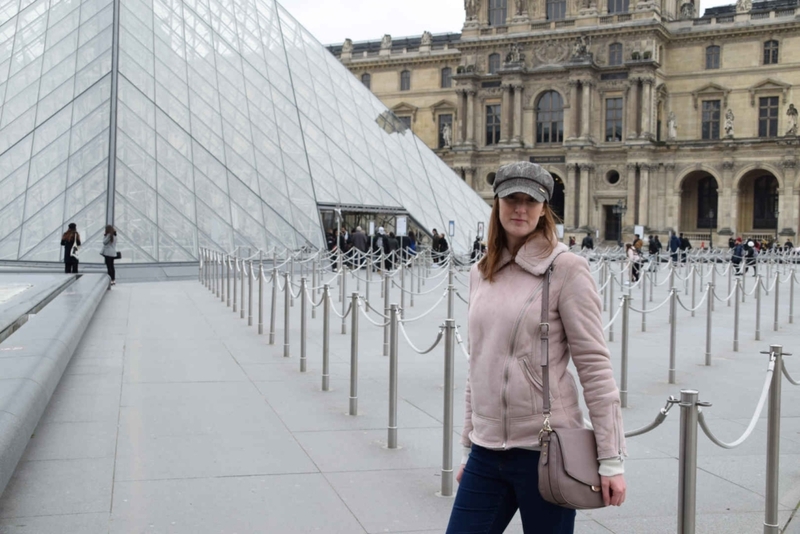 The best walking shoes for Paris can also be stylish – those you can walk proudly in all day, without wincing in pain, as you take in the sights of this stunning city. Why not follow the lead of front-row fashionistas and pack a pair of chunky trainers to wear with cropped jeans or a midi-skirt. If you prefer flat boots, these Chelsea leather boots from ASOS are super versatile, while over-the-knee boots have the added bonus of providing extra leg warmth. In the evenings, try this season’s animal print trend with these pointed snakeskin ballet flats from ASOS. Fashionable French women like to invest in their outerwear. Stay cozy yet stylish in the Parisian winter months with a super warm coat, such as an on-trend teddy bear coat. The faux fleece lining of this biker jacket kept me feeling toasty, despite the winter chill as I visited the Notre-Dame Cathedral and the Louvre. In the evenings, the faux fur coat is divine over a long-sleeved lace mini dress and opaque tights. With these two Paris winter coats, it won’t matter how cold it gets. When packing for Paris, don’t forget some essential accessories. Though, as mentioned, remember to wear them sparingly, or otherwise dial down your outfit accordingly. Elegant leather gloves will stop your fingers from freezing. Take a belt to cinch in a cashmere sweater or blazer and define your waist, Parisian style. A piece of statement jewellery for evenings out. Plus a hat, of course to keep in your body heat. 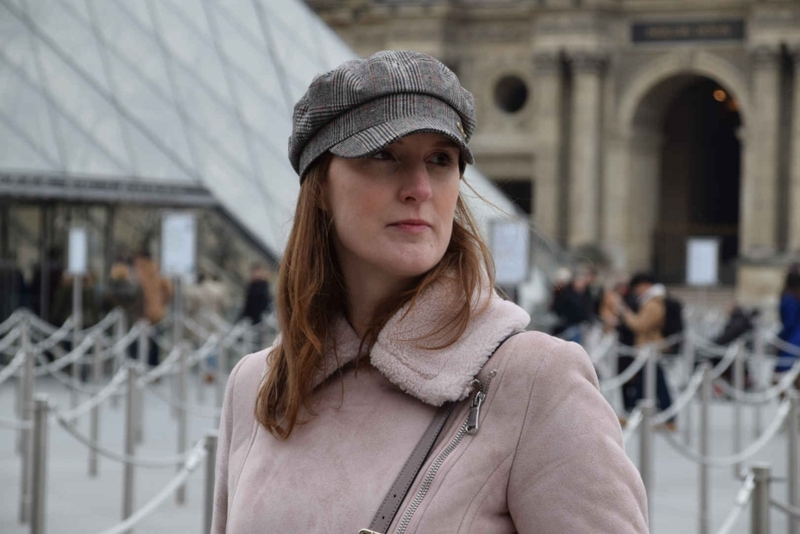 A baker boy hat or beret (of course) will top off your cute Parisian outfits nicely. Mainly, keep warm! As it’s cold, you will no doubt want to step inside for some warmth from time-to-time. I found myself heading into shoe shops near the Pompidou Centre, to give my poor red nose a break and enjoy the heated air-conditioning, as well as browsing the shoe displays, of course. This is a good area for clothes shopping. 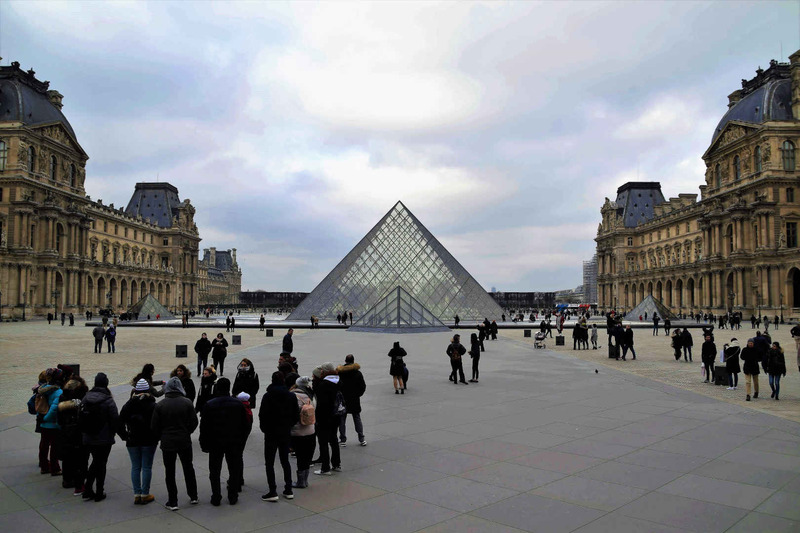 Buy the Paris Pass and you will have fast track entry to many major attractions, which could be a saviour on a frosty day. Famous Parisian buildings such as the Notre-Dame Cathedral are lit up magically inside. 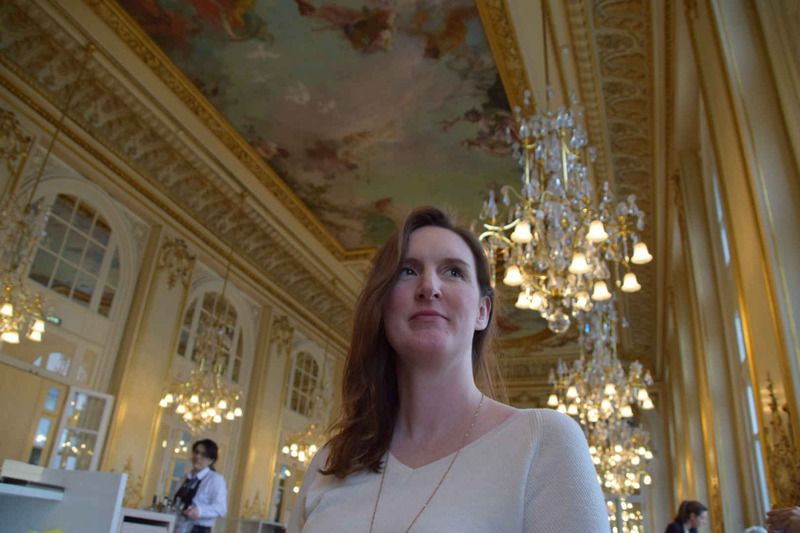 I visited the wonderful Musee D’Orsay and browsed the art exhibitions. 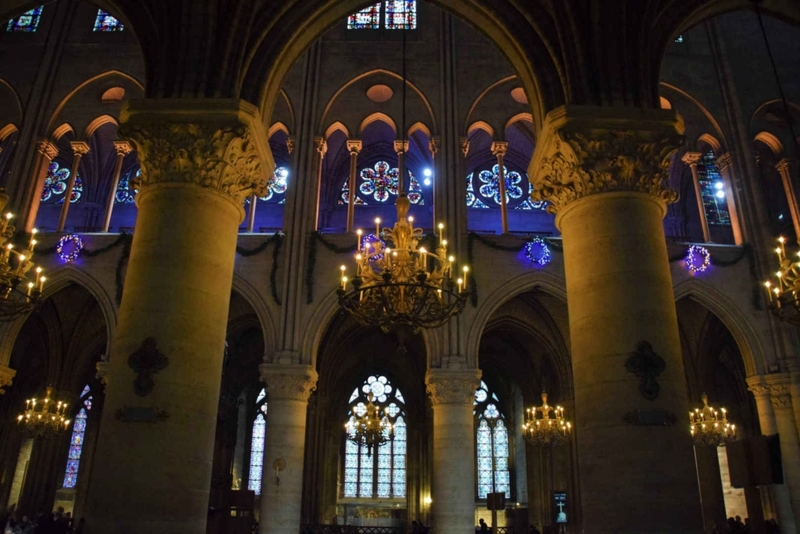 It’s also an opulent place to strip off your heavy winter coat and dine on a spot of lunch, as you marvel at how lucky you are to be in Paris. 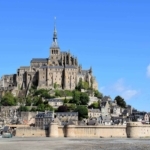 Overnight trips or day trips from Paris in winter include the Mont Saint Michel Abbey. This fairytale island is France’s most visited tourist attraction outside of Paris and lies three hours west of the capital by train. It’s open all year round. 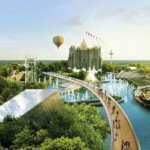 Just over two hours away from Paris by train, close to the historic city of Poitiers, is the technology and entertainment theme park, Futuroscope. This place is a whole lot of fun for kids and adults alike. It’s open most weekends throughout winter, though it closes for three weeks in January. 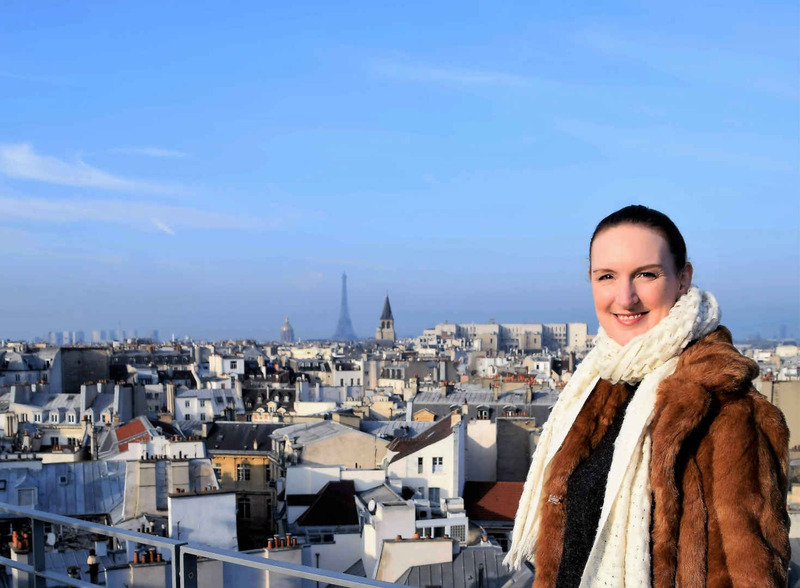 So there you have it, your guide to staying chic in the French capital during the coldest months. Choose your pieces carefully and make a statement, while staying comfortable. Pull out your most luxurious fabrics and faux furs, pare down the look with jeans and flat shoes, adopt a nonchalant attitude and go explore the wonderful City of Lights.